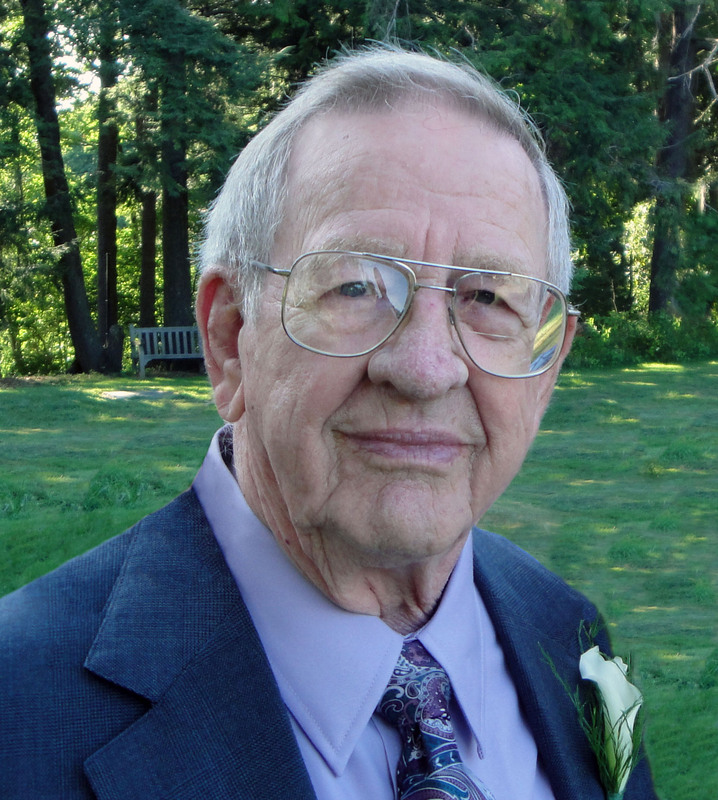 Obituary for John Ralph VandenBos | Langeland Family Funeral Homes, Inc.
John Ralph VandenBos, 94, of Kalamazoo, went to be with his Lord and Savior on February 10, 2019. He was born July 1, 1924, in Kalamazoo to the late Leonard and Johanna (Bouwhuis) VandenBos. John VandenBos was most proud of the seven children that he and his wife Emily raised and the various ways they contribute to the world. He enjoyed taking pictures of his children growing up and compiled many scrapbooks of those photos. As a young man he served in the Armed Forces during the Second World War; as a family man he worked for the UpJohn Company for many years, and his work ethic was clear to those who knew him. He was a longtime member of the Christian Reformed Church and had his favorite hymns and Bible stories. There were some poems that were dear to his heart, and he wrote some poems for his children's birthdays when they were little. After his own children were raised, John and his wife Emily served as foster parents for numerous children. In active retirement, he enjoyed traveling to the various places his children and grandchildren live: Paris, France; Camp Paradise on the Tahquamenon River in upper Michigan; Montana; New Jersey; Minneapolis; and Chicago. He spent his last seven years at Park Village Pines in a room with a lovely window view of magnificent trees. He also enjoyed rides in the country with a faithful friend. John was a person who paid attention to words, loved to use a dictionary, had a sense of humor, and could engage in a hearty conversation. His children wish him and Mom well in the heavenly realm. John was preceded in death by his beloved wife, Emily Elizabeth Gregory VandenBos; brother, Albert VandenBos; and sisters, Lenora White, Bernice DeMoor, Rina VanderRoest, Jen Badham, Harriet Struble, and JoAnn Haas. He is survived by his seven children, Emily Jane (Dawn) VandenBos Style, Nancy (Stephen) VandenBos Hoekstra, Timothy (Erin) VandenBos, William (Mary Jo) VandenBos, John (Lisa) VandenBos, Jr., Nathan (Karen) VandenBos, and Leonard (Char) VandenBos; grandchildren, Joey, Lindsey, and Whitney VandenBos, Amy Buchanan, Rachel (Zindel) and Sarah Style, Keegan (Maihack) and Curtis VandenBos, Nathan (Ann), Casey, and Jesse (Emma) Hoekstra, and Nicholas and Benjamin VandenBos; great-grandchildren Dylan and Wyatt Zindel, Keira and Alex Jeffries; as well as many nieces and nephews including Rev. Jim VanderRoest who will officiate the funeral for his Uncle John. Family will receive friends Thursday, February 14, from 6:00-8:00PM at Langeland Family Funeral Homes, Westside Chapel, 3926 S. 9th Street, Kalamazoo, MI 49009, where a funeral service will be held Friday, February 15 at 11:00AM. Interment will take place in Mt. Ever-Rest Memorial Park South with Military Honors by Otsego VFW Post 3030 and the Army. In lieu of flowers, memorial donations may be made to Kalamazoo Christian Schools Foundation.